Hayden Skelton is going to entertain us with the story of his delivery cruise from Noumea to Coffs Harbour. This was done without the aid of modern electronics and GPS - The old way with sextants etc. The first boats to anchor at Pool Flats with sterns tired onto concrete block of old pontoon. Stern lines must not go the living trees. Next yachts to raft either side. I have done a reconnaissance of the Hacking river and can assure you that there will be 2.2m of water minimum at the top of the tide. Watch out crossing to Swallow rock and just past the scout hall at Grays Point. The park has been advised and I have checked out possible sites ashore. Friday evening dinner will be aboard or at Reid Flats (Opposite) depending on weather and mood at the time. We have limited shelter ashore. The main pavilion is unavailable, Willow tree has limited tables and no cooking, Wattle Flats has tables under cover but no cooking (and too far) so Saturday's Christmas dinner will probably be aboard (if raining) or as a picnic (on rugs) at the stern of the boats at Pool Flats so cooking can be done onboard if necessary. As part of the Christmas spirit, I would like to see your tables (or rugs) decorated suitably. Your Champagne of refreshments should be taken from appropriate glasses and manners should be impeccable. There will be some stories to tell, some games to play and some songs to sing. Yachts anchored off the beach and land safely on the shore. We found a nice grassy spot to have our picnic ashore around 12:30pm, after lunch we explored along the waterfront towards Googlies point and then climb the hill to the old Googlies cottage and follow the road back to Warumbul. See slide show of reconnaissance on August 27th. The wild flowers are out but it required a hike to the ridges to find the best flowers. 14th August 2011 is now OFF. Radar shows a lot more rain to come. It also looks like the wind will increase all week, so next week will be unsuitable. This means we won't make Wattamolla this year as a group. The idea will be to muster at Jibbon around 1000 hours, then sail as a group to Providential Head at say 1030 hours. Buoys may be laid to mark the way in, and all yachts are asked to listen on VHF 73 for any instructions and anchoring information. New yachts requiring assistance will be allocated an experienced yacht to assist – Contact John Barter on 0418 253 479 for instructions. Wattamolla is an unique anchorage very close to the Port. It does have its hazards, so care must be taken. Once inside it can comfortably hold 20 yachts at anchor. After lunch onboard we will get up to some mischief ashore before returning home around 1500 hours. We musted at Jibbon around 1100hrs and made contact on VHF 73. The raft up location was Jibbon Beach for lunch around 1300hrs. Whales were scarce but we did manage to see a few. Lunch at Jibbon was very pleasant in the warm winters sun. Whales require personal space, and harassment may severely stress them - possibly causing accidents both for humans and whales if the whales feel threatened, This is especially important in the case of adults with calves, which may be either resting or suckling. Research has shown that whales are particularly sensitive to engine noises. You should also be aware that during the mating season, males competing for females may engage in rough physical contact. All whale watching yachts are to keep within the guidelines set down by National Parks. This means we must not go within 100m of the shale (or 300m if with calf) and do not disturb their migration. Time period between 18th April and returning around ANZAC day. The cruise south was well attended by 6 boats (L'attitude, Migaloo, Eureka, Sweet Chariot and First Light), we enjoyed excellent weather and I am sure all enjoyed the trip. We left Port Hacking on Monday the 18th as planned. The weather was fine and the seas smooth. Some went directly to Jervis bay and for the others our first port of call was Wollongong. This is a small harbour where for $27.50 per day you tie up beside the trawlers. If the trawler wishes to move you have too also. It is a requirement that you have to keep someone on board at all times. This is quite restrictive and as a result visiting more than the harbor is difficult. One of our boats had to move twice during the night and we were woken up early so instead of tying up again, we set a course to the Crookhaven River via Kiama. A short visit to Kiama revealed a very small harbour with some visitor moorings available. As with Wollongong, access was quite easy but the situation might be different in a big sea. In smooth seas we entered the Crookhaven River. The entry is quite narrow and following the leads is essential. We found two courtesy moorings at the junction with Shaw Creek. Greenwell Point is a small town and an excellent place for a break. 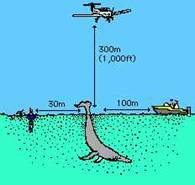 The area around the Trawler wharf is quite shallow so approach with care. The next day we moved onto Jervis Bay. On route some people visited a colony of NZ Fur seals at “The Drum”. The colony comprised of over fifty seals. As we approached many seals dived off the ledge and swam around the boat. It was quite spectacular and well worth a visit if the sea conditions are right. 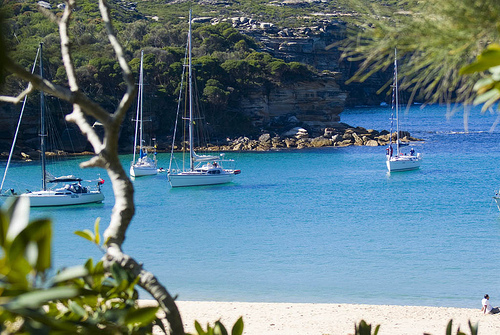 Jervis Bay is a beautiful place with very clear water and white sandy beaches but it is not a yacht friendly place. Anchoring is approved in only a few places. There are a number of courtesy moorings available but not sufficient for an Easter weekend. Moorings out of the wind for more that a few hours are in very short supply. Access to fuel and water is non existent. After a few days in the bay the boats headed home, some on their own and some in company. The last boat arrived home on Wednesday 27 April 2011. Cruising in company has benefits apart from the opportunity to share each others company. Whilst moored at Huskisson one of the team had some heart trouble and had to spend 24 hours in hospital. For that person, having others around to assist with transport and to look after the show was a big relief. Another boat had problems with the steering system. Travelling home in company provided assurance in case there were further problems. If you want a laugh, ask Kevin Everett how he nearly launched himself through the bow rail holding onto a 45 KG anchor and chain that he took of the winch. Monday 18th April: After a rainy windy weekend Elaine and Kev decided to join Sweet Chariot, Latitude and Migaloo for a sail to Wollongong. Left Port Hacking at 12 midday. Nice sail down to Wollongong in a light north-westerly arriving at approx 4pm; Our late arrival meant that we had plenty of friends to grab our lines and make sure we were secured to a trawler for the evening. After a drink with Alison, Alistair and Rory (Sweet Chariot) we wandered up to the fish co-op and bought some flathead tails for dinner. They were delicious. Tuesday: 6am saw the usual bustle of Wollongong with trawlers taking off so headed to Jervis Bay and had some breakfast on the way. A mixed day with some nice sailing and then motor sailing saw us arrive at 2.30pm. We contacted First Light who had gone down on Sunday to find that they were at Huskisson and leaving Thursday morning. Picked up a courtesy mooring at Hole in the Wall and had a very pleasant night. Wednesday: Weather forecast prompted us to sail to Huskisson where we found a courtesy mooring. Wandered along the beach towards Vincentia and visited Huskisson bakery for one of their beautiful pies. Very impressed with the town which has grown and become more trendy. Explored Currumbeen Creek by dinghy as far as Wollamia and had a walk around the boat ramp and picnic area there. Contacted the Master on L'attitude who had arrived at Hole in the Wall with Sweet Chariot and Migaloo. Thursday: Another lazy day at Huskisson. Nice swim. The rest of the fleet arrived. L'attitude and Migaloo rafted up on a mooring and Sweet Chariot picked up a commercial mooring. The girls, Margaret and Jan were joining Latitude and Migaloo and Kevin and Mike were heading home. Had a drink with Sweet Chariot who were leaving on Friday for Greenwell Point. Good Friday Headed for Hole in the Wall as southerly weather forecast for the evening. Had a great sail from Calala Bay to Honeymoon Bay, Long Beach and Target Beach. As the 5 courtesy moorings were taken we made the mistake of anchoring in 5 metres west of Scottish Rocks. This activated a major operation. One ranger and vehicle on the beach, 3 policeman in a rubber duck to move us to a 10metre depth. We think the greenies have gone a bit overboard with the sea grass protection. Once settled we enjoyed our oysters and prawns and hot cross buns but were distressed to hear that Ross was is Shoalhaven hospital with a heart problem so Latitude and Migaloo were still at Huskisson. Saturday: Beautiful walk into Bristol Point, along to Greenpatch and then back along the rock shelf and beach. Took a dinghy ride around to Murray’s Beach and on the way back got chatting to Mustang Sally (Hunter 44) who were on their way from Melbourne to Cairns and then the Louisiaides rally in September. We were telling them about Ross when who should sail by but Ross on Migaloo! It was great to see him back on board and we enjoyed joining Jan, Ross and their daughter Trudy for sun downers with Margaret and John, Elder and David on L'attitude. Sunday, Monday and Tuesday: Waved goodbye to L'attitude and Migaloo and headed up to Callala Bay to catch up with Kev’s brother Peter and Wendy. Bumpy night on visitors mooring and then set off to Crookhaven Heads. Anchored at Greenwell Point after a bumpy sail and joined Mustang Sally for sundowners (we had advised them against Wollongong and Kiama and suggested that Greenwell Point followed by Port Hacking could be an alternative). Fish and chips with the Crocker's and Oldfield's on Tuesday and one of the locals offered us a mooring for the night. Wednesday: Blast!!! We arrived in Port Hacking at 3.20pm TOO LATE FOR THE RACE. Did make it to the RMYC for dinner though. Got drenched on our way back to the boat but this was the first drowning we had experienced for the whole 10 days!